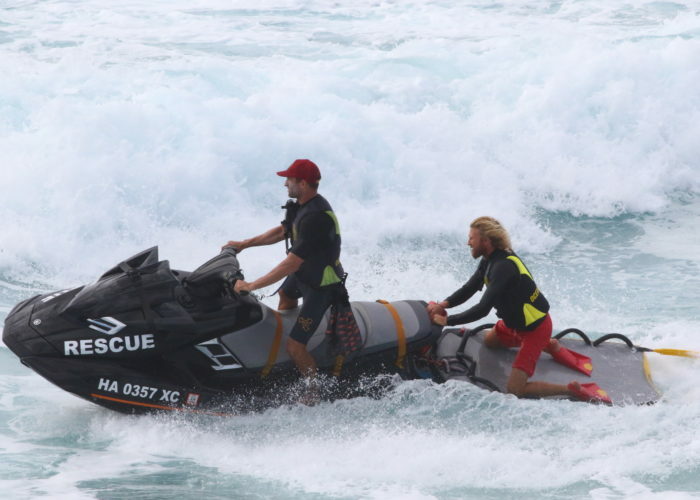 If you are a rescue agency that is considering establishing a Rescue Water Craft (RWC) program or an agency with an established program, HSA is here to offer you our experience and guidance to aid you with your endeavor. HSA can help you identify your needs, make an educated purchase, properly rig your fleet and develop a maintenance program for the preservation of your equipment. Our boards are continually being refined, many integral parts are updated and can be replaced to ensure your boards are ready for whatever conditions you’re facing. Consider the following tips and tricks to get the most out of your purchase. One of the most important elements is the ability to do business with a dealership that has a comprehensive service department in your area. Regardless of brand, service of your RWC is imperative. 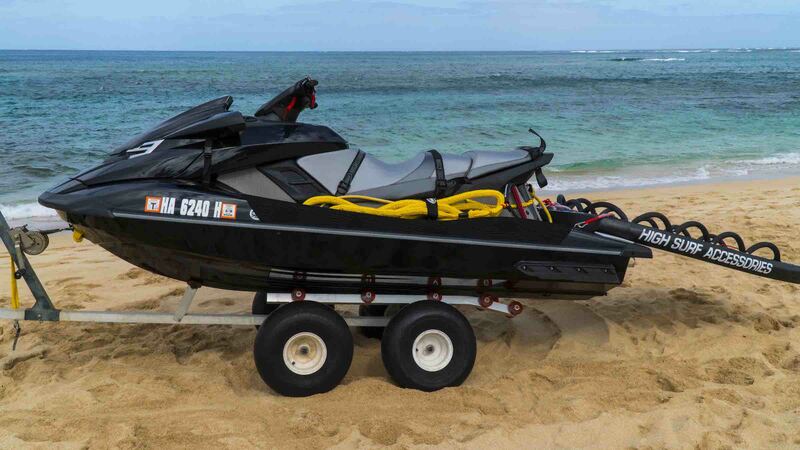 HSA’s preferred RWC for the integration of safety accessories and performance in dynamic waters is the Yamaha FX HO. 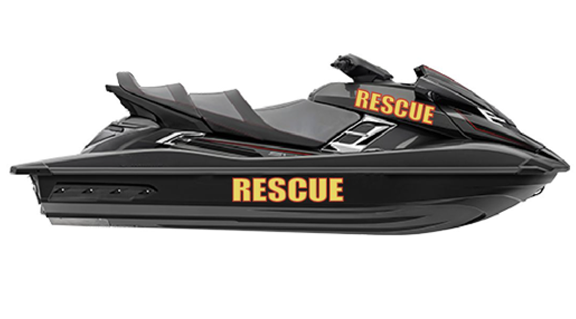 The jet ski was never originally designed for water rescue, but, over the years, lifeguards and ocean safety personnel recognized the true benefits of using jet skis for water rescue. HSA offers an assortment of bow-to-stern hardware to help fortify your investment and rescue needs. HSA makes a wide variety of rescue board sizes, communicate with us directly to help determine which board best suits your objectives. 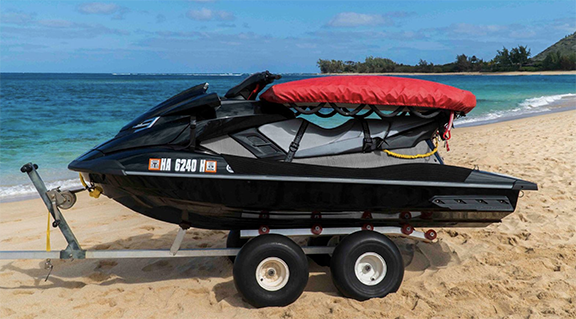 Jet skis used on a daily basis have a high exposure to UV wear and damage. For this reason, HSA recommends using our “agency colors”, light grey deck and yellow rail color combination. 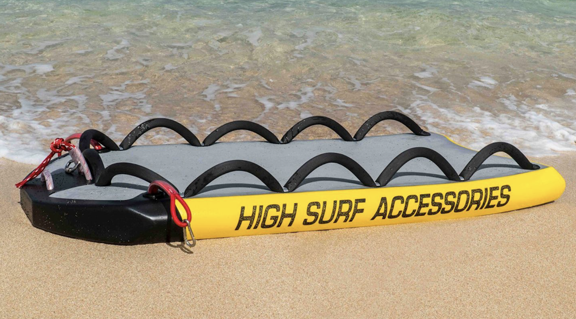 The light grey deck offers less heat absorption, while the yellow rails increase visibility on the water. Check out our resources page for more information. Most rescue water crafts are staged in the sun daily. We highly recommend using our HSA rescue board covers to store and protect the board. Storing and protecting the board will greatly reduce UV exposure and preserve the life of the board. 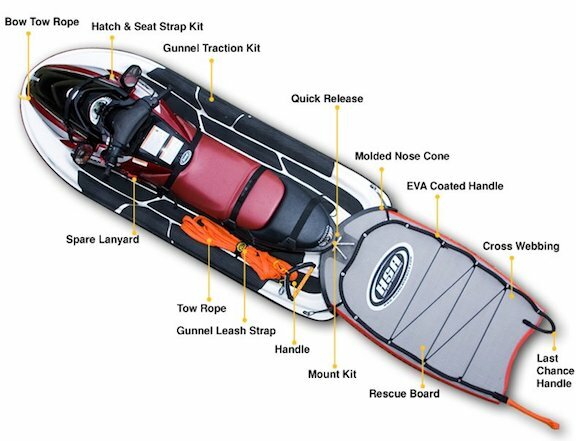 With the popularity of personal water crafts on the water, it is important to establish your ski as a rescue agency. For agencies interested in branding their fleet, we offer vinyl decals tailored to fit your RWC. These decal kits include two top side panel stickers and two waterline stickers, including a front emblem or logo, which is optional. If you have any questions or inquiries, please do not hesitate to give us a call to discuss in detail.